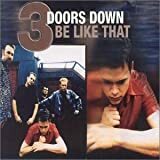 3 Doors Down is an American rock band from Escatawpa, Mississippi, that formed in 1996. The band originally consisted of Brad Arnold (lead vocals, drums), Todd Harrell (bass), and Matt Roberts (lead and ryhthm guitars) Chris Henderson (lead and ryhthm guitars) The band rose to international fame with their first single, "Kryptonite", which charted in the top three on the Billboard Hot 100 chart. The band then signed with Republic Records and released their debut album, The Better Life, in 2000. The album was the 11th-best-selling album of the year and was certified 6x platinum in the United States. They were later joined by drummer Richard Liles, who played during the tour for their first album. The band's second album, Away from the Sun, (2002) continued the band's success; it debuted at No. 8 on the Billboard 200 chart, went multi-platinum in the U.S. like its predecessor, and spawned the hits "When I'm Gone" and "Here Without You". The band toured extensively for two years. Daniel Adair played drums on tour from 2002 to 2006. This configuration played nearly 1,000 shows across the world following the release of Away from the Sun. In 2005, Greg Upchurch (Puddle of Mudd) joined to play drums to replace Adair. 3 Doors Down released their third album, Seventeen Days in 2005. The album debuted at No. 1 on the Billboard 200 chart and was certified platinum within one month of release. Their fourth, self-titled album, 3 Doors Down (2008), also debuted at No. 1 on the Billboard 200 chart. The band's fifth studio album, Time of My Life (2011) debuted at No. 3 on the charts. Original guitarist Matt Roberts departed in 2012, owing to health issues. He was replaced by Chet Roberts, who was formerly Henderson's guitar tech. Harrell was fired from the band in 2013 after being charged with vehicular homicide, and was replaced by bassist Justin Biltonen. 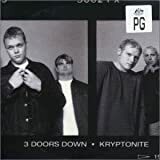 Worldwide, 3 Doors Down has sold more than 20 million albums. The band has shared the stage with artists such as Daughtry, Pop Evil, Red Sun Rising, Black Stone Cherry, Megadeth, Staind, Nickelback, Three Days Grace, Oleander, Alter Bridge, Breaking Benjamin, Seether, Shinedown, Hinder, Mentors, ZZ Top, Bob Seger, Lynyrd Skynyrd, and Toby Keith.